r further independent studies. As the book is designed for learning the language in small bits, it consists of only six lessons and is conceived to become the first out of several mini-books altogether making up a complete beginner course. Step by step the learner will accumulate the necessary amount of vocabulary units, get good reading skills, acquire the rudiments of grammar and get the initial idea of word formation. Grammar rules are illustrated with tables; the material is strictly limited and even numbered and summarized, which makes it possible for the learner to track his or her progress. Each lesson is provided with practical exercises. possible for a new Russian language learner to track his/her progress. grammar and get the initial idea of word formation. Grammar rules are illustrated with tables. of two or more syllables the stressed syllable is underlined. to drill the necessary skills. first six steps is represented. 1. Letters of the Russian alphabet. 3. Consonant letters ending in /ɛ/*. 4. Consonant letters starting with /ɛ/. 5. Two signs: hard ъ and soft ь*. 6. Letter й, called short i*. 1. Rhyming letters. This group includes vowel letters. Ии /i/, Ыы /ɨ/ rhyme with ‘she’. the syllable is unstressed, so we deal with its reduced version /jə/. at the end of a word, e.g. очень /o-t∫’ən’/ – very (adverb). Ии /i/, Ыы /ɨ/ rhyme with …. 2. Say what consonant letters of the Russian alphabet end in /a/. 3. Say what consonant letters of the Russian alphabet end in /ɛ/. 4. Say what consonant letters of the Russian alphabet start with /ɛ/. 6. Why can’t the ‘short i’ letter (Йй) be a counterpart to Ии /i/? …, … rhyme with ‘she’. 8. Learn the Russian alphabet by heart. 1. Names for countries and nationalities (expressed by nouns). 2. 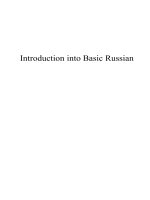 Zero form(s) of the verb ‘быть’. to indicate the feminine gender in nouns for nationalities. 4. Sentence patterns: Кто это? Что это? Какая это…? Кто это? – Who’s this? Что это? – What’s this? Какая это…? – What (also: which) … is this? Что это? – Это страна. – What’s this? – It’s a country. country is this? – It’s China. country is that? – It’s Germany. country is this (that)? – It’s America. is not to frighten you, my dear learner! (or: an Englishman). His wife is also English (or: an Englishwoman). тоже немка. – Who’s this? – It’s Günther. He is German. His girlfriend is also German. an American). His wife is also American (or: an American). тоже литовец. – Who’s this? – It’s Ingeborga. She is Lithuanian. Her friend is also Lithuanian. falls on the syllable ‘-ва’. тоже полька. – Who’s this? – It’s Janusz. He is Polish. His girlfriend is also Polish. тоже узбечка. – Who’s this? – It’s Alisher. He is Uzbek. His girlfriend is also Uzbek. are given in the subjective (nominative) case, singular number. -ин: грузин (Georgian), болгарин (Bulgarian), татарин (Tatar), etc. -ец: австриец (Austrian), испанец (Spanish), вьетнамец (Vietnamese), etc. 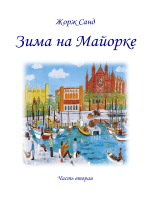 краковяк (a resident of Krakow or Краков), etc. -–: грек- (Greek), казах- (Kazakh), серб- (Serbian), хорват- (Croatian), etc. -к-а: канадка (Canadian), украинка (Ukrainian), эстонка (Estonian), etc. community, island, country, town, continent or part of the world). (a villager), крымчанин / крымчанка (Crimean), etc. (a southerner), мусульманин / мусульманка (Moslem), etc. мексиканка (Mexican), перуанец / перуанка (Peruvian), etc. northerner), египтянин / египтянка (Egyptian), etc. the masculine. Luckily, there are few of them. NOTE: The information in the comments is given for illustration only! Что это? – Это страна. Какая это страна? – Это Китай. А это какая страна? – Это Германия. А какая это страна? – Это Америка. А это что? – Это Япония. Кто это? – Это Мизуки. Она японка. Её муж тоже японец. Кто это? – Это Хонг. Он китаец. Его жена тоже китаянка. Кто это? – Это Чимлин. Она тайка. Её муж тоже таец. nationalities and a zero Present tense form of the verb ‘быть’. Example: He is Canadian. → Он канадец. Lithuanian. He is Polish. He is Chinese. He is Thai. He is Uzbek. 6. Add -чан-к-а, -ан-к-а, -ян-к-а or -к-а to form a feminine noun. What’s this? – It’s a country. What (which) country is this? – It’s China. And what country is that? – It’s Germany. And what country is this (that)? – It’s America. And what’s this? – This is Japan. Who’s this? – It’s Hong. He is Chinese. His wife is also Chinese. Who’s this? – It’s Chimlin. She is Thai. Her husband is also Thai. Какая это страна? – Это Узбекистан. Кто это? – Это Алишер. Он узбек. 1. Names for languages and nationalities (expressed by adjectives). of the earlier mentioned nouns. zero ending (this group consisting of masculine nouns). bridge'). These forms need to be remembered! Fortunately, they are few. Кто это? – Это Мизуки. – Кто она? – Она японка. Japan. – Is her husband also Japanese? – Yes, (he’s) also Japanese. He also lives in Japan. – (So do I) I live in Japan, too. Кто это? – Это Джон. – Кто он? – Он американец. Where does John live? – John lives in America. Lithuanian, but he doesn’t live in Lithuania. Polish. She lives in Poland, too. name’s Hong. I’m Chinese. I live in China. My wife is also Chinese. She lives in China, too. Моё имя Чимлин. Я тайка. Я живу в Таиланде. Thai. He also lives in Thailand. Моё имя Алишер. Я узбек. Я живу в Узбекистане. Uzbekistan. My girl-friend is also Uzbek. She also lives in Uzbekistan. singular and -ет /-jət/ in the 3rd person singular, both unstressed. Я знаю американский гимн. – I know the USA anthem. the masculine gender singular, nominative case in adjectives. тоже японец. Он тоже живёт в Японии. – И я живу в Японии. Кто это? – Это Гюнтер. – Кто он? – Он немец. – Где он живёт? литовец, но он не живёт в Литве. тоже полька. Она тоже живёт в Польше. китаянка. Она тоже живёт в Китае. тоже таец. Он тоже живёт в Таиланде. подруга тоже узбечка. Она тоже живёт в Узбекистане. Япон…. Я зна… япон… язык. тоже жив… в Герман…. Я тоже зна… немец… язык. поль… язык, но я не жив… в Польш…. Я жив… в Литв…. живёт / Павел / Где? он / Где / живёт? живёт / Где / она? Где / подруга / живёт / его? её / Где / муж / живёт? Где / друг / её / живёт? Анна / живёт / Где? prepositional case), making the required changes in noun inflexions. do I) I live in England, too. does he live? – He lives in Germany. – Is his girl-friend German, too? I) I don’t live in Germany, either. American). – Where does John live? – John lives in America. Chinese. She lives in China, too. also Uzbek. She also lives in Uzbekistan. Chinese. She knows Thai. He knows Uzbek. 1. Adverbs for languages. Hyphenated prefix по-, suffix -и. 2. 1st conjugation verbs ‘жить’ and ‘знать’. Endings: -ёшь/ешь, -ёте/-ете, -ём/-ем and -ут/-ют. 4. 2nd conjugation verbs ‘говорить’ and ‘слышать’. ‘мы’ (known to you from the previous course) and ‘они’ (new). letter in ‘Вы’, if you address one person in a polite manner. Ты живёшь в Польше. – You live in Poland. Мы живём в Китае. – We live in China. Вы живёте в Таиланде. – You live in Thailand. Они живут в Англии. – They live in England. Ты живёшь в ^Польше? – Do you live in Poland? Мы живём в Ки^тае? – Do we live in China? Вы живёте в Таи^ланде? – Do you live in Thailand? Они живут в ^Англии? – Do they live in England? Где ты живёшь? – Where do you live? Где мы живём? – Where do we live? Где вы/Вы живёте? – Where do you live? Где они живут? – Where do they live? Какой … (inanimate noun) ты знаешь/вы знаете? subject) – I know English. язык. – What language do they know? – They know German. Что мы знаем о Китае? – What do we know about China? use the more common preposition ‘о’. Question: What about? – О чём? very simple: take any adjective for languages / nationalities (e.g. ending -ий with the suffix -и and add the hyphenated prefix по- (e.g. need three personal pronouns ‘он’, ‘она’ and ‘я’ again. type – the -и- conjugation. Он говорит по-литовски. – He speaks Lithuanian. Она говорит по-тайски. – She speaks Thai. Я говорю по-узбекски. – I speak Uzbek. Я слышу хорошо. – I (can) hear well. Он плохо слышит. – He (can hear) hears badly. Он гово^рит по-литовски? – Does he speak Lithuanian? Она гово^рит по-тайски? – Does she speak Thai? Я гово^рю по-узбекски? – Do I speak Uzbek? Он слышит хоро΄шо? – Does (can) he hear well? Какой язык вы знаете? – Мы знаем литовский язык. Какой язык они знают? – Они знают немецкий язык. о Японии? Что они знают о Германии? по-узбекски. Он живёт по-американски. Я слышу хорошо. 2. Add the required endings to the verbs in the sentences below, i.e. Таиланде. Они жив… в Англии. Какой язык ты зна… (Вы зна…)? – Я знаю английский язык. Какой язык вы зна…? – Мы зна… литовский язык. Какой язык они зна…? – Они зна… немецкий язык. Китае? Что они знают … Таиланде? hyphenated prefix по- and the suffix -и (e.g. по-английски). говорю (English). → Я говорю по-английски. we live? Where do you live? Where do they live? What language do you know? (singular subject) – I know English. What language do you know? (plural subject) – We know Lithuanian. What language do they know? – They know German. about Uzbekistan? (singular subject) What do they know about England? What do we know about China? What do you know about Poland ? about Lithuania? (singular subject) What do we know about Japan? What do they know about Germany? Americans do. I (can) hear well. She doesn’t (can’t) hear very well. speak Thai? Do I speak Uzbek? Does he live the way Americans do? Does (can) he hear well? Я слышу не очень хорошо. 1. Personal pronouns in the accusative case. 2. 2nd conjugation verbs ‘говорить’ and ‘слышать’. Endings: -ишь, -ите, -им and -ат/-ят. …. Вы говорите, что …. etc. ‘учиться’ with the particle -ся. 6. Prepositional case of the neuter gender noun ‘общежитие’. transcription syllable by syllable, making the underlined syllable more prominent. For this purpose the syllables in the transcription are divided. directed, e.g. Я не слышу тебя. – I don’t hear you. of ‘слышать’ they are not. Мы слышим вас. – We hear you. Вы слышите нас. – You hear us. Ты слышишь меня. – You hear me. Я слышу тебя. – I hear you. Они слышат их. – They hear them. Она слышит его. – She hears him. Он слышит её. – He hears her. they’re a husband and a wife. these forms in the texts below. работаешь, etc. ; собирать – собираем, собирает, etc. Она учит новый язык. – She’s learning a new language. Они учат гимн. – They’re learning an anthem. Они учат их петь. – They’re teaching them to sing. Она учит меня бегать. – She’s teaching me to run. Children study / are taught at school). university (literally: Students study / are educated at university). Мой друг учится в Пекине. – My friend (also: boyfriend) studies in Beijing. Моя подруга учится в Берлине. – My friend (also: girlfriend) studies in Berlin. 3) neuter nouns: общежитие (with the inflexion -ие). neuter gender noun ending in -ие (общежитие). Where? – Где? What about? – О чём? Мой друг – журналист. – My friend is a journalist. Моя подруга – журналистка. – My friend is a journalist. или работает? Она живёт в го^стинице или в общежитии? Она сту^дентка? Какая информация в её пропуске? 3. Use the verbs (infinitives) given in brackets in the correct form. говорят, что живут в Москве. что сейчас (жить) в Америке. the verbs ‘работать’ and ‘собирать’ accordingly. подруга … в Берлине. Они … их петь. Мой друг … в Пекине. Он … её говорить по-японски. Студенты … в университете. – студент…. Моя подруга – журналист…. them into your native language. Learn the sentences. Они слышат их. Она слышит его. Он слышит её. меня. Я говорю, что сейчас живу в Америке. учит её говорить по-японски. Она учит меня бегать. друг – студент. Моя подруга – студентка. We hear you. You hear us. You hear me. I hear you. They hear them. She hears him. He hears her. He says (that) he lives in China. She says (that) Ivan is her friend. in Beijing. My friend (also: girl-friend) studies in Berlin. My friend is a journalist (masculine). My friend is a journalist (feminine). My friend is a student (masculine). My friend is a student (feminine). 11. Learn Text 1 and Text 2 by heart. 2. Personal pronouns in the genitive case. 6. Some forms of plural nouns. Inflexions -и and -ы.
personal pronouns in the accusative case which we listed in Lesson 5. Меня зовут Анна. – My name is Anna. Его зовут Павел. – His name is Pavel. Её зовут Ольга. – Her name is Olga. subjective / nominative case, it’s used in the genitive case). or Чего? /t∫’i-vo/ for inanimate. У них есть дети. – They’ve got children. У него есть семья. – He’s got a family. У Вас ^есть пропуск? – Have you got an admittance card? We’ve got books, exercise-books, pencils and paints. это большой город. Он находится в Сибири. Я работаю в газете. Я – главный редактор. любит петь. Он хорошо поёт и играет на гитаре. воздухе. Дети играют, плавают, ездят на лошади. Зимой мы живём в городе. difference between them and the words in ‘-а’ is only in their spelling. feminine nouns ending in ‘-ь’! (or /t’i-tra-d’i/) and /lo-∫ə-d’i/ with soft /-d’/ everywhere. 4. In the words where the final consonant is hard in the nominative case, e.g. action is directed towards the subject of a sentence. Люди находятся на улице. – The people are outside. absent in the infinitive ‘з-вать’. This is how this verb is conjugated. syllable (пишу), but in the other forms it shifts to the root. syllable (люблю), but in the other forms it shifts to the root. Now we’re going to do something that we didn’t try before. forms in the nominative case. You’ve seen these nouns in the text. Let’s consider the nouns ending in ‘-га/-ка’, ‘-ва/-та’, ‘-ш’ and ‘-ь’. 1. In the plural form ‘карандаши’ the stress falls on the last syllable. in the plural form ‘д’ becomes voiced: /t’ə-tra-d’i/ (or /t’i-tra-d’i/) with soft /-d’/. Меня зовут Анна. Его зовут Павел. Нас зовут Анна и Павел. Её зовут Ольга. Их зовут Иван и Вадим. 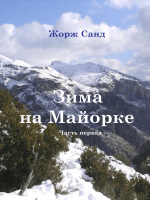 есть книги, тетради, карандаши и краски. У неё всё хорошо. Дом находится в деревне. Сейчас дети находятся в школе. находится в Сибири. Цирк находится на улице Гагарина. зовут Иван и Вадим. … зовут Анна. 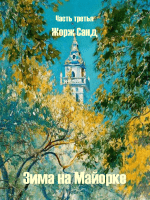 книги, тетради, карандаши и краски. У … есть семья. His name is Pavel. My name is Olga. Our names are Ivan and Vadim. Her name is Anna. Their names are Anna and Pavel. 4. Revise the forms of the verb ‘находиться’ given in this lesson. sentences and learn them. Mind the stress in the verb forms. Город … в Сибири. Люди … на улице. Школа … в городе. located in the village. The people are outside. the following word combinations into Russian using this preposition. Make up a sentence in Russian with each word combination. conjugation). Learn their forms by heart. дом…. → Они живут в доме. плавают, ездят на лошад…. Зимой они живут в город…. (рука), (нога) и (голова). → У них есть руки, ноги и головы. дети. …’ Make the necessary corrections in the text. 12. Learn the text by heart. Он хорошо играет на гитаре. Мы живём в Томске, в Сибири. У нас есть дом в деревне. Мы ездим туда на машине. hundred units minimum. And what about your grammar skills? ending in ‘-га/-ка’, ‘-ва/-та’, ‘-ш’ and ‘-ь’.